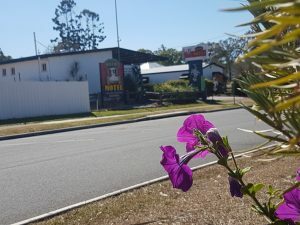 Kilcoy Motel is family owned and operated and located in the heart of town, close to all amenities and services. Enjoy the Somerset region’s attractions based in the heart of Kilcoy. We offer a variety of spacious rooms that cater for a romantic getaway to fully self-contained three bedroom cabins for the family or a group of friends. All accommodation is fully air-conditioned with Foxtel, swimming pool and BBQ areas. To ensure we services all parts of the community, we have a three bedroom Cabin that has been designed to cater for customers who may have special needs. We are currently undergoing building extensions and refurbishment. We hope to complete these by Easter 2019. Access to our Motel will become easier with the office relocating to face the street. There will be improved variety of services and accommodation will be provided in a modern environment with all the marks and feel of country smiles.